Conjunctions are joining words. They join two or more words, group of words, or sentences. Example: Two and two make four. Her work is slow but neat. There are three kinds of conjunctions that join two sentences. Coordinating conjunctions are used to join grammatical units of the same type. These are ‘and’, ‘but’, ‘or’, ‘nor’, ‘neither’, ‘for’, ‘yet’, ‘still’, ‘so’, etc. Examples: She is sick yet she is cheerful. This is neither my pen nor yours. This include ‘both…and’, ‘not only…but also’, ‘either…or’, ‘neither…nor’, etc. Examples: not onlyis she smart but also clever. 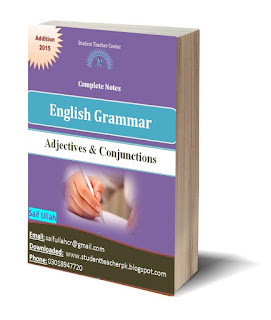 When conjunctions are used as correlatives, each of the correlated words should be placed immediately before the words to be connected. Examples: He met not only the prime minister, but also the president. Subordinating Conjunctions are those that introduce subordinate clauses and join them to main clauses. They are divided into different classes as given below. These conjunctions introduce adverb clauses of manner with ‘as if’, ‘as though’, and ‘according to’. Example: She looked as if she had been working for hours. These conjunctions use adverb clauses of place with ‘whence’, ‘where’, and ‘wherever’. Example: She is praised wherever she goes. The conjunctions introduce adverb clauses of time like ‘when’, ‘after’, ‘since’, ‘till’, ‘until’, ‘while’, as soon as’, ‘before as’, and ‘up to’. Example: it has been a long time since I last saw you. ‘as’, because’, and ‘since’ introduce adverb clauses of reason. Examples: He was so upset with his brother that he could barely look at him. The adverb clause of purpose is introduced with these conjunctions ‘that’, ‘in order to’, and ‘lest’. Examples: We study that we may gain knowledge. Introduces adverb clauses of condition with ‘if’, ‘provided’, and ‘unless’. Example: You cannot go home unless you complete your work. Adverb clauses of concession or contrast are introduced with ‘although’, ‘even if’, and ‘however’. Example: Although she betrayed me, I still have no hard feelings for her. The adverb clauses of comparison is introduced with the form ‘as…as’, as much as’, and, ‘no less than’. Example: She is as tall as her sister. A join each pair of the following sentences using a suitable conjunction. 1. This mango is ripe. It is not sweet. 2. He was tired. He continued to work. 3. You are tall. Your brother is taller. 4. You must start at once. You will be late. 5. I may go to Multan this holiday. I may go to murree. 6. Her work is slow. Her work is neat. 7. My mother is fine. Father is ill.
8. He was afraid of being late. He ran. Will you kindly wait__________ I return? _______ somewhat annoying, he was quite an interesting character. Never start an argument, ______ you may think you are right. I know more about this _______ you give me credit for. Do _______ you are told. You will not succeed _____ you work hard. I don’t know ______ he has gone and he will return.